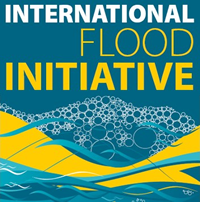 International Flood Initiative (IFI) is a joint initiative in collaboration with such international organizations as UNESCO-IHP, WMO, ICLR, UNISDR, UNU, IAHS and IAHR. IFI made its official launch in January 2005 at the World Conference on Disaster Reduction (WCDR) in Kobe, Japan. 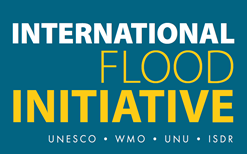 The United Nations Education, Scientific and Cultural Organization(UNESCO) and the World Meteorological Organization (WMO), building on past cooperative successes, have launched the International Flood Initiative (IFI) to address existing management gaps through a holistic approach and to provide a platform for further collaborative efforts. The initiative will work in close cooperation with the Institute for Catastrophic Loss Reduction (ICLR), the United Nations University (UNU), the International Strategy for Disaster Reduction (UNISDR), IAHS and IAHR. The IFI secretariat is locate in the International Centre for Water Hazard and Risk Management (ICHARM) in Tsukuba, Japan. UN agencies working on other aspects of flood management will also be invited to contribute to the initiative. Objectives: The overall aim of the initiative is to build capacity in countries to understand and better respond to floods by taking advantage of their benefits while at the same time minimizing their social, economic and environmental risks. Strategic Activities: The initiative will focus on research, information networking, education and training, empowering communities and providing technical assistance and guidance.